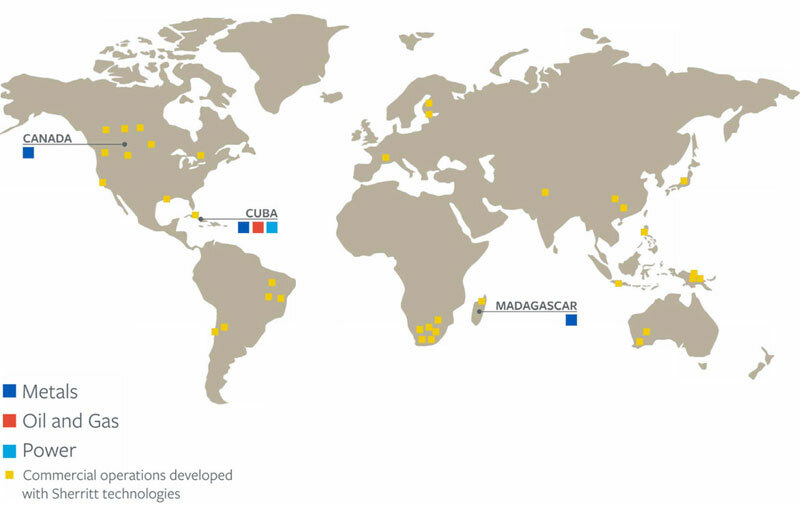 Sherritt is one of the world’s largest producers of nickel from lateritic sources with operations in Canada, Cuba and Madagascar. We pride ourselves on being a leading low-cost producer that generates sustainable prosperity for our employees, investors and the communities in which we operate. We are also the largest independent energy producer in Cuba, with extensive oil and power operations across the island. Journeyman Millwright, Fort Saskatchewan SK, Canada Hot! Superintendent, Process Training, Tamatave, Madagascar Hot! Principal Metallurgist, Fort Saskatchewan SK, Canada Hot! R&D Professional, Fort Saskatchewan SK, Canada Hot! Refinery Manager, Tamatave, Ambatovy, Madagascar Hot! Project Manager, Technologies (2), Fort Saskatchewan SK, Canada Hot! Mine Process Manager, Toamasina, Madagascar Hot! Hygiene Advisor, Fort Saskatchewan SK, Canada Hot! Operations Supervisor - Hydrogen and Air Separation, Toamasina, Madagascar Hot! Inspection Superintendent, Toamasina, Madagascar Hot! Category Manager, IT, Transportation, Professional and Facility Services, Fort Saskatchewan SK, Canada Hot! Senior Control Systems Engineer, Toamasina, Madagascar Hot! Mobile Maintenance Superintendent, Toamasina, Madagascar Hot! Safety Advisor, Fort Saskatchewan SK, Canada Hot! Principle Engineer TMF, Toamasina, Madagascar Hot! Director, Procurement & Enablement, Fort Saskatchewan SK, Canada Hot! Port and Rail Operations Superintendent, Toamasina, Madagascar Hot! Plant Projects Superintendent, Toamasina, Madagascar Hot! Shutdown Superintendent, Toamasina, Madagascar Hot! Senior Process Engineer, Toamasina, Madagascar Hot! Senior Mechanical Engineer (Rotating Equipment Specialist), Toamasina, Madagascar Hot! Senior Process Engineer - Utilities, Toamasina, Madagascar Hot! Mine Mobile Maintenance Superintendent, Moramanga, Madagascar Hot!